Last year I made a pledge that 2015 would be different and that I would finish each race knowing that I had done everything that I could do to run the best race possible. As 2015 is coming to a close, I’m happy to report that my year of running redemption was a success. 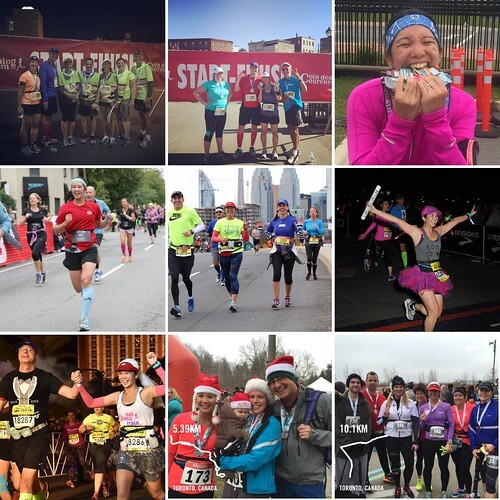 In 2015, I ran 18 races, the most number of races I’ve ever run in a single year. I actually thought I was cutting back, but I guess all of those race challenges add up. I trained smarter and ran personal best times in the 5k (by over 2 minutes), 8k (by 7 minutes), 10k (by 6 minutes), 15k (by 18 minutes), half marathon (3 times for a total of 12 minutes! ), 30k (by 1 hour 8 minutes) and the full marathon (by almost 30 minutes). 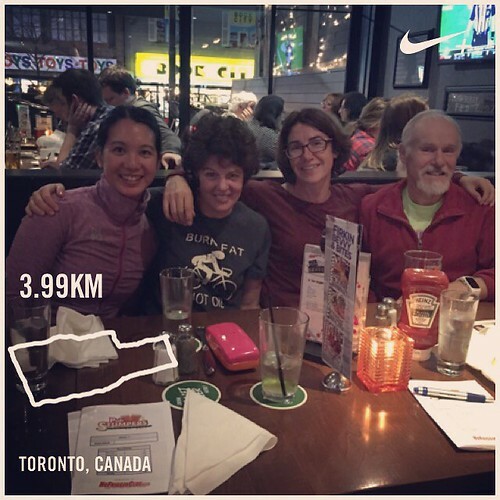 2015 races part 1 – Bermuda Triangle Challenge (KPMG Front Street 1 mile, Bermuda 10k, Bermuda Half Marathon), Around the Bay 30k, Harry’s Spring Run Off 8k, Toronto Yonge St. 10k, Toronto Goodlife Fitness Half Marathon, Nike Women’s 15k, Warrior Dash. 2015 races part 2: Port City Challenge (Into the Night 5k, Harbour Passage 5k, (half) Marathon by the Sea), B&O Yorkville 5k, Scotiabank Toronto Waterfront Marathon, Rock ‘n’ Roll Las Vegas Remix Challenge (Rock ‘n’ Roll 5k, Rock ‘n’ Roll Half Marathon), Santa Shuffle, Tannenbaum 10k. A big change for me was recognizing that I didn’t have the discipline to run on my own throughout the winter. I was tired of losing my running fitness during the winter months so I sucked it up and started running with the Beaches Running Room. It was one of the best decisions of my life. Through the Beaches Running Room I’ve met many other supportive, inspiring runners (many who I am now proud to call my friend). 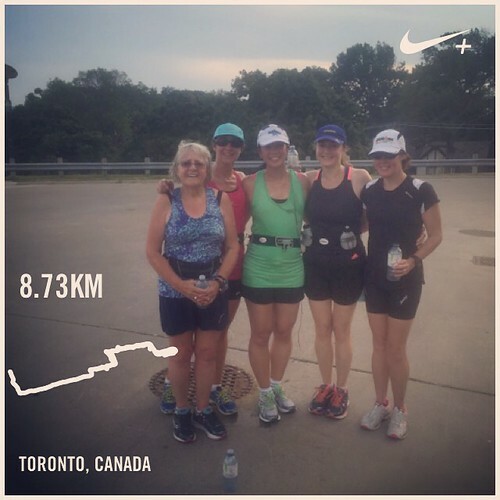 I was also introduced to running in the Beaches neighbourhood, which is hillier and more challenging than the flat terrain of Brampton that I was used to. 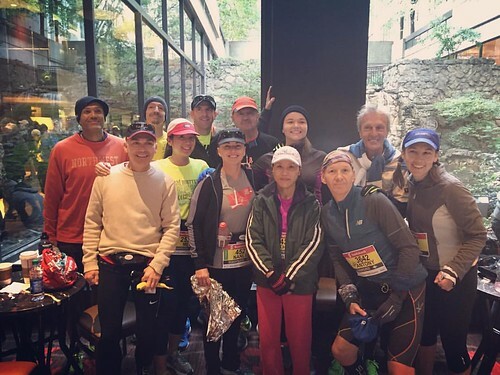 My running group got me through the winter, from crazy ice storms that made us look like we were covered in ice armour, to -30 and -40 degree weather, to searching for water fountains during heat waves and slogging it out for long runs during extreme heat alerts, they got me through a lot. My running group even makes hill training fun (as fun as hills can be anyway!). I love cheering for each other as we go up and down the hills and when I’ve been the last runner to get to the last hill, my running group has clapped and cheered for me and I’ve had runners join me to conquer the last hill and keep me company. It’s been a great experience and I’ve improved a lot because of it (the regular pub nights with my group also don’t hurt!). I wouldn’t have done hill training on this day without these amazing ladies. They got me through the winter and into the summer. Nanlee got me through all of my summer long runs. 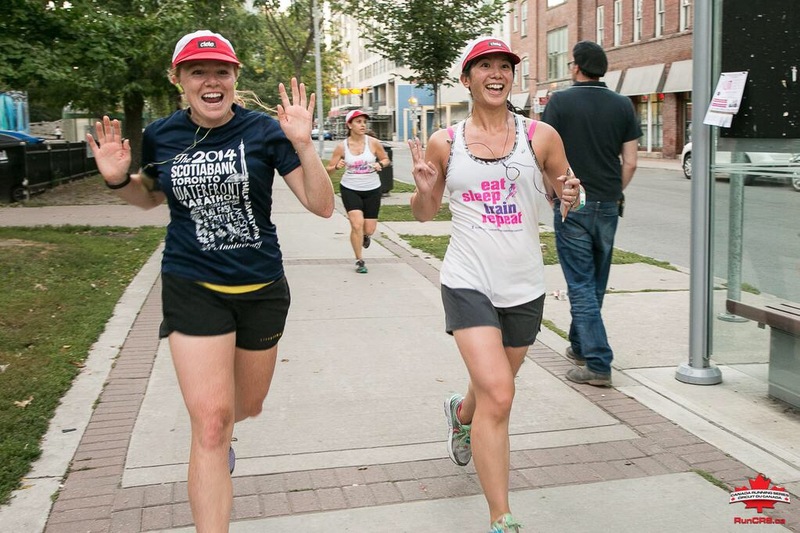 Photo courtesy of Canada Running Series. Reunion one year after the start of our half marathon clinic. 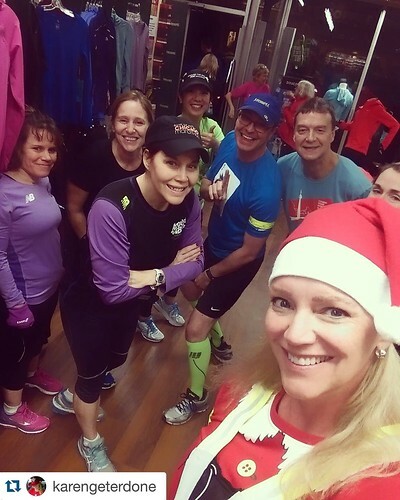 Love this running group! They’re getting me through the current winter when I’m feeling especially lazy and unmotivated. Photo by @karengeterdone. My marathon group. I was so lucky to have these people support me through 18 weeks of training and to have friends to run with for 37kms of my marathon! Another big change for me was becoming a 2015 #STWM digital champion. 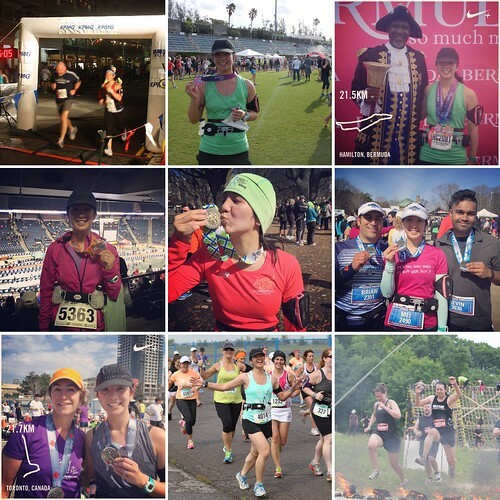 When I first applied, I thought that I would just promote the race (one of my favourite races), post about my training on social media and try to motivate others who were training too. Instead, I received amazing support and made new running friends who continue to inspire me every day. Meeting community leaders and other digital champions for #STWM. What a great group! 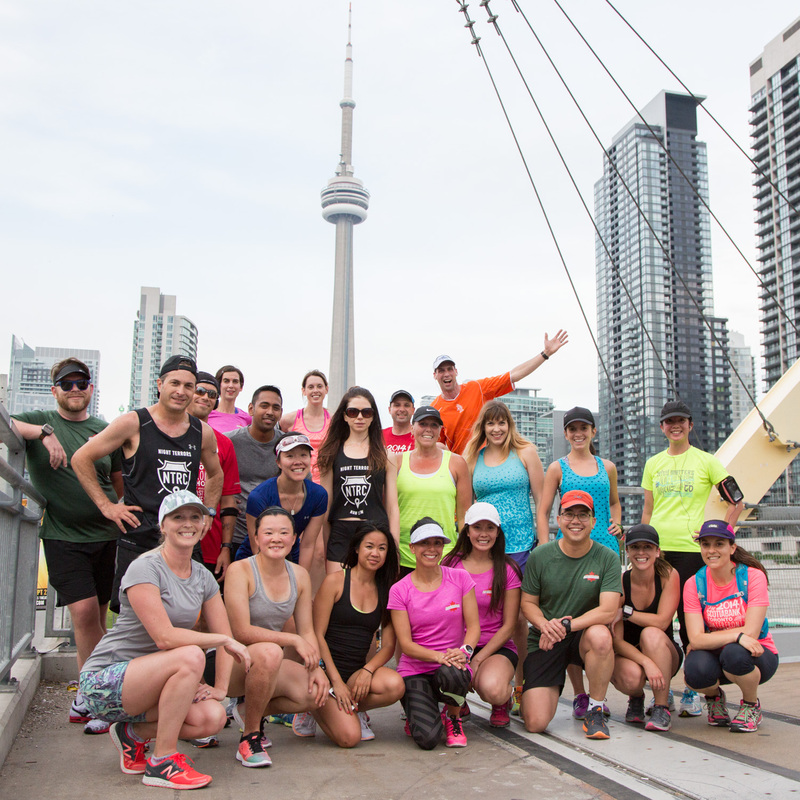 Photo courtesy of Canada Running Series. 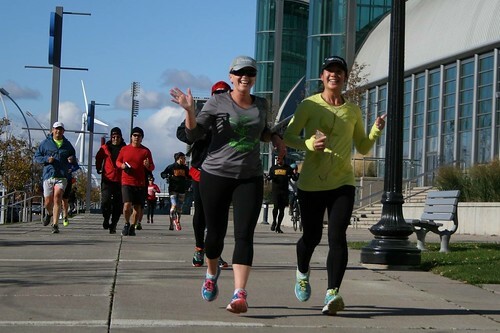 Arlene and I became friends when we trained for our first marathon together out of the Bramalea Running Room. 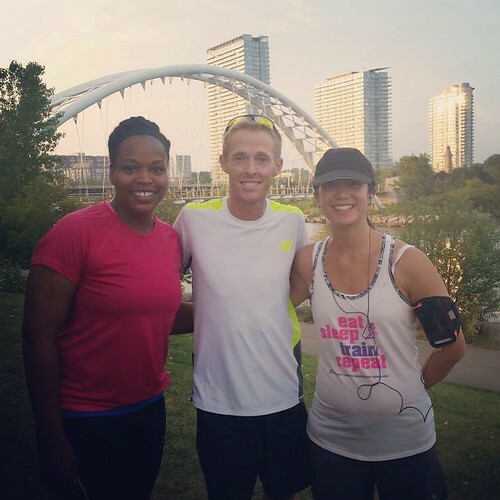 I was so happy to get to run with her again in Toronto at a Canada Running Series event and get to run with Eric Gillis! Another photo stop with the Digital Champions. This is the bridge that was featured on the Yonge St. 10k medal. Photo Courtesy of Canada Running Series. Fellow digital champ Allison and I met up at several Canada Running Series events. 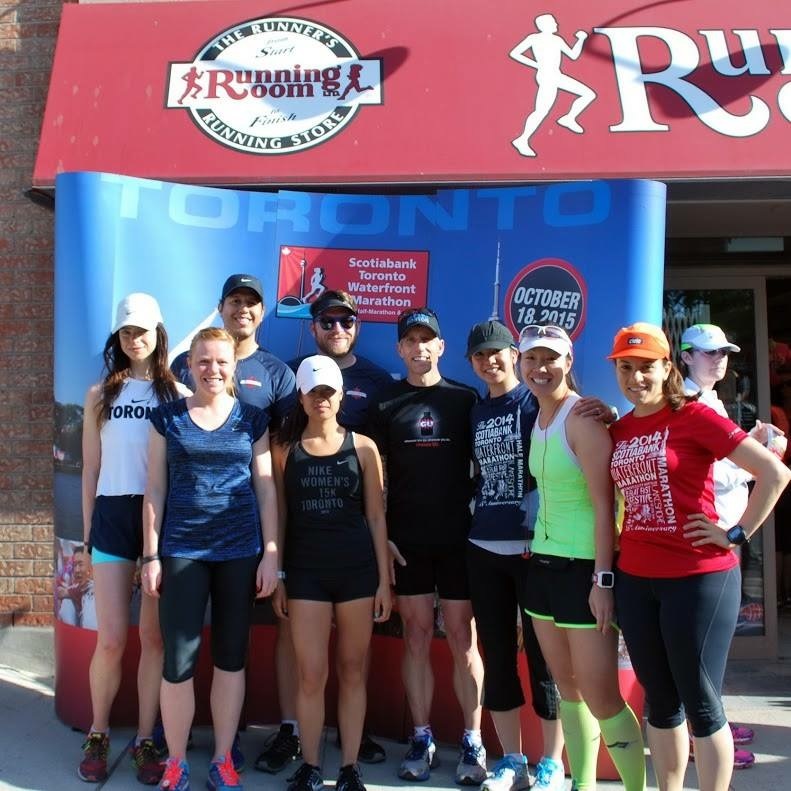 Photo courtesy of Canada Running Series. The world has gotten a lot smaller because of social media and I honestly believe that runners are some of the best people in the world. To sum up 2015, I finally crushed it! I’m looking forward to more in 2016.